Megan has been dancing since the age of 3. She has training in ballet, pointe, tap, jazz, lyrical, and hip hop. 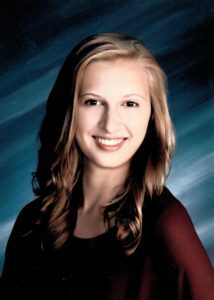 During her high school years, she trained with Excel Dance Center as well as the Academy of Dance Arts in Portage, Michigan where she was given the opportunity to be an assistant instructor for their recreational classes. She was also involved in competitive cheerleading. Megan is currently a student at Michigan State University. She is a member of the MSU Dance Club and has enjoyed performing with them at various events. She is thrilled to be a part of the KIO! team!